View additional images and read the complete article here. For many years UNM’s Health Sciences Center has taught anatomy to future health care providers through studies supported by a program of individuals willing their bodies to medical education. A committee of HSC educators led by Paul McGuire, PhD, Associate Dean, sought a way to acknowledge these essential and generous donations. Having initially engaged a UNM MLA program design studio to explore memorial design concepts, Sue Mortier, ASLA (University Landscape Architect) guided the committee towards a professional approach. Following an introductory meeting with the committee, William S. Perkins ASLA was enlisted to prepare a schematic design. A study of four alternatives led to a design solution. A physical model of the garden was presented to HSC leadership and Chancellor Paul Roth approved a first phase development, roughly half of the proposed garden, for the site located between Novitski Hall and the IDTC building (the former state laboratory). Design development and construction documents were prepared consistently with the guidance of the committee. High Mesa Consulting Group provided a vital supporting role in helping ensure that the proposed improvements fit compatibly with the complex tangle of underground utilities not atypical for many parts of the campus. Eileen Lambert PE aided with the structural engineering role for the steel structures. 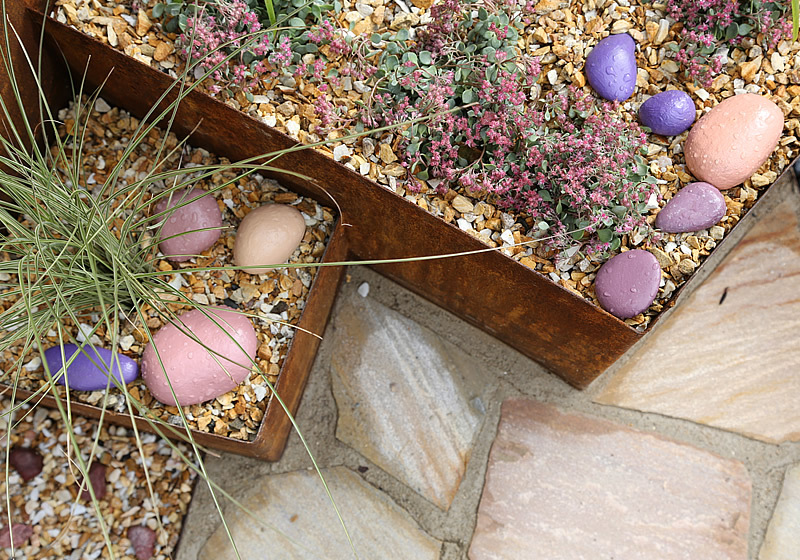 Penny Perkins played a key role in the planting design. 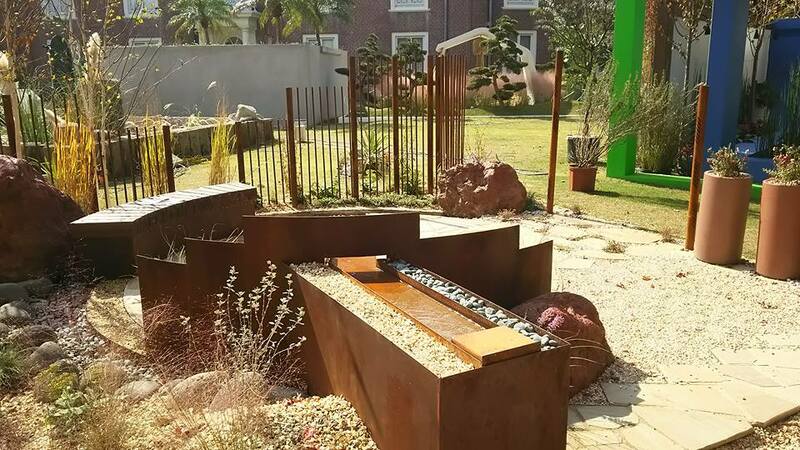 Following an initial proposal solicitation and review process, Westwind Landscape Construction received the contract and led the methodic five month construction of the garden. The shade structures were fabricated and installed by CMY, Inc. while Riccobene, Inc. created the custom building blocks for “helix-inspired” columns to display donor names. Cledith Clay of Westwind guided construction with his characteristic focus on craftsmanship. Although the project took time to develop, and the utility coordination proved to be expensive, the project proceeded with a momentum derived from the worthiness of the donors’ generosity in support of medical education. 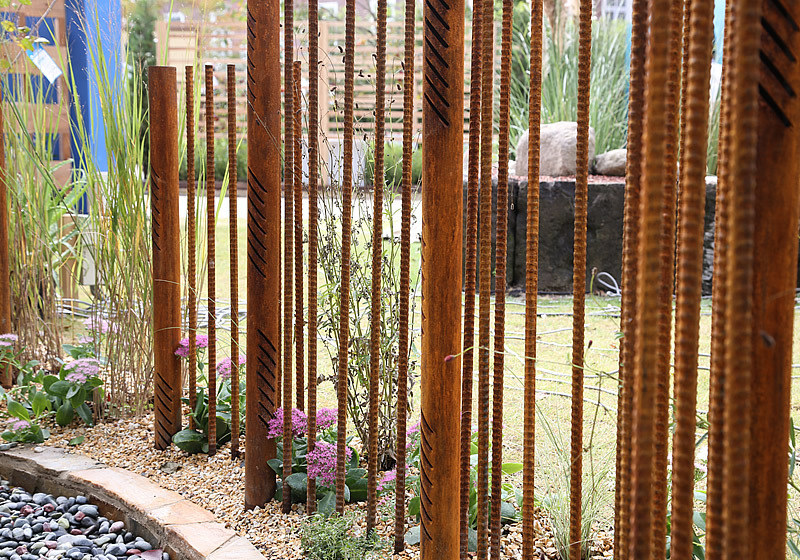 In a collaborative effort by many, a formerly under-utilized corner of the campus grounds has been recreated into a distinctive and inviting garden space that acknowledges past contributions while drawing on symbols of life and heritage for peaceful inspiration. new or returning members this quarter! 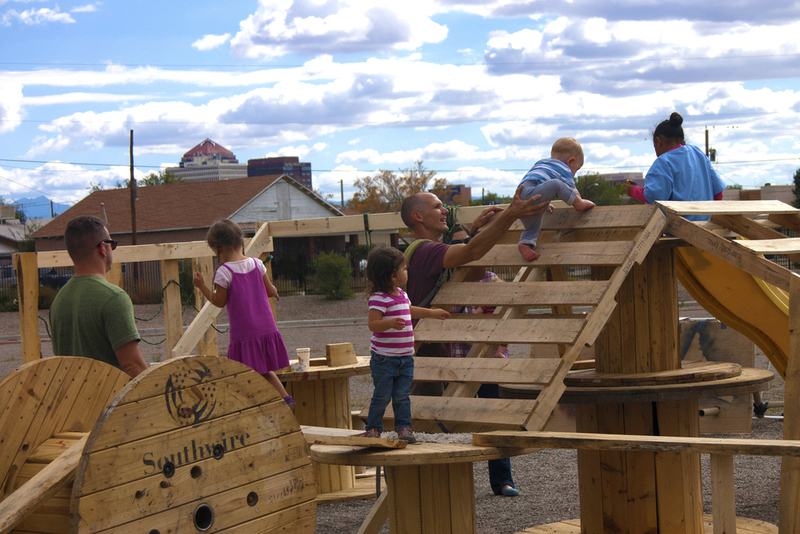 On October 4th, 2015, Albuquerque’s first ever pop up playground was imagined, built and deconstructed at the ACE Leadership High School in the Sawmill District. A dedicated committee of New Mexico Chapter of the American Society of Landscape Architects (NMASLA) board members and ACE Leadership High School staff worked together for over a year to plan this momentous event. 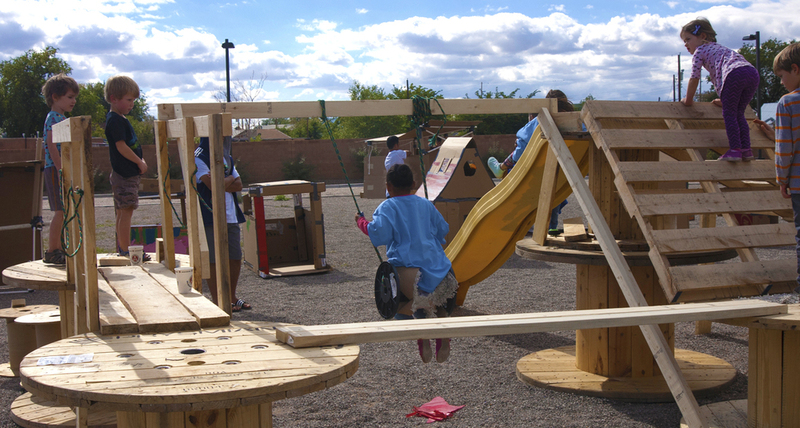 Over 75 children, 55 adults, 29 ACE high school students, 20 ACE faculty and staff, 8 NMASLA members and 7 UNM Student ASLA members participated in the event (over 190 participants total!). The entire event essentially cost nothing – everything was provided through sponsorship and valuable volunteer hours. $800 in sponsorship was given by Envall Associates, Inc., School Equipment Inc. and private contributions. This sponsorship provided custom designed t-shirts (designed by ACE students), snacks, medical supplies and duct tape. Other materials were provided by ACE, donated or recycled. Recycled cardboard boxes, wooden pallets, wire spools, paper tubes and pvc piping melded with children’s imaginations and became wings, transformers, trucks, airplanes, dinosaurs and climbing structures. New friendships were made and new possibilities realized.